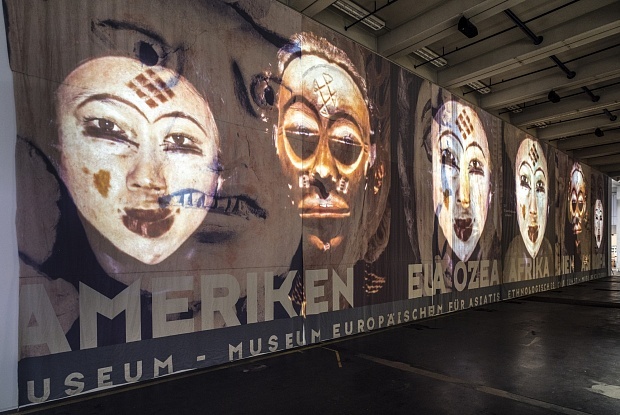 Documenta 14 broke with tradition when it opened in Athens before its home city of Kassel. And now, the German quinquennial is broadening its geographical reach even further by collaborating on a show in Luanda, Angola. The exhibition, planned for 2018, will feature 16 artists of African descent who are participating in Documenta 14 (until 16 July in Athens; until 17 September in Kassel). They include Akinbode Akinbiyi, Sammy Baloji, Bili Bidjocka, Manthia Diawara, Theo Eshetu, Aboubakar Fofana, Pélagie Gbaguidi, iQhiya, Bouchra Khalili, Ibrahim Mahama, Narimane Mari, Otobong Nkanga, Emeka Ogboh, Tracey Rose, El Hadji Sy and Olu Oguibe whose concrete obelisk in central Kassel is one of the highlights of this year’s edition. In Luanda, the works will not necessarily be the same as those on display in Athens and Kassel. “I want to bring some of the essence of Kassel to Angola so that it’s not just a one-off but a real exchange and strategic relationship,” Dokolo says. Dokolo created the Sindika Dokolo African Collection of Contemporary Art in 2004 with the Angolese artist and curator Fernando Alvim. The collection now includes more than 5,000 works of classical and contemporary art from the continent. In 2006, Dokolo formed the Fundação Sindika Dokolo to support the development of African culture and to help with the repatriation of its heritage. The foundation plans to open a European headquarters in the Portuguese city of Porto next year.